Heather Stanford can visit an acting class or rehearsal studio to coach students for your school’s productions. The Watsons go to Birmingham-1963, directed by Risa Brainin 15 & 22 February, 11AM (runtime ~ 90 minutes), seating is limited so reserve early! 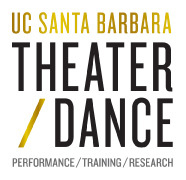 Available February, April, & May: UCSB actors bring Shakespeare scenes to your school. Using your students’ feedback, the actors rework scenes on the spot, demonstrating that there is more than one way to play Shakespeare. Available 28 April - 2 June: UCSB actors perform Shakespeare scenes & monologues woven together with information about his life and theatre in a fast-paced blend of low comedy and high tragedy. Runtime can be adjusted to your schedule - 30-50 minutes. Suitable for all ages. Residencies can consist of a single visit, in which the class will explore either Shakespeare’s theatre generally or one play in particular, or a multi-visit residency, in which the class may create a performance project. UCSB faculty member and Shakespeare & Company teaching artist HEATHER STANFORD will conduct teacher development workshops in your schools, exploring new ways of bringing Shakespeare’s plays to life in the classroom as well as the rehearsal hall.